Donald McLean was born on one of Scotland's Inner Hebrides islands in 1820. He arrived in New Zealand in 1840, and became fluent in the Māori language. In early 1844 he became a Protector of Aborigines in Taranaki, where he resolved disputes between Māori and settlers. He gained a deep knowledge of Māori culture and customs. 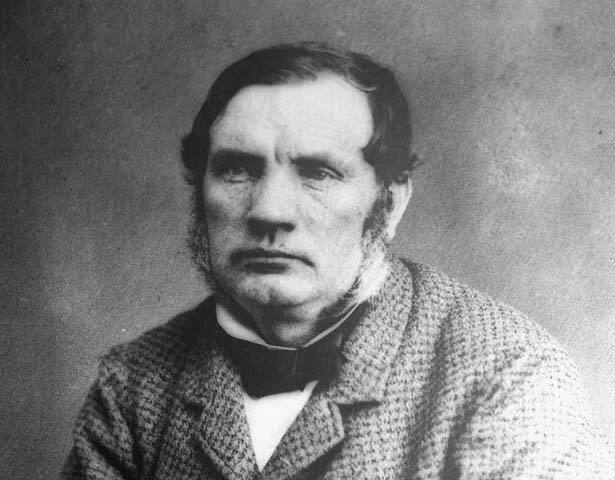 When George Grey abolished the Aboriginal Protectorate Department in 1846, McLean was appointed a police inspector in Taranaki. McLean's approach to race relations was based on the belief that European dominance was inevitable and desirable, and that the best chance for Māori was complete assimilation. Commencing in 1848 Grey used McLean as a land purchase agent. Because he was successful in many districts - including Wanganui, Rangitīkei and Hawke’s Bay - he became head of the Native Land Purchase Department. In 1856 he was appointed Native Secretary. At first he made land purchases in a careful and open manner. But with growing Māori resistance to land sales he became devious. He would make secret payments to certain chiefs and let them persuade a majority of owners to sell. Tensions grew, and finally war broke out over the Waitara purchase in Taranaki. But McLean never admitted responsibility for the Waitara debacle. Instead he blamed the King Movement. In 1863 McLean was made General Government Agent in Hawke's Bay, where he owned large sheep runs. He became fully involved in the East Coast wars of the mid-1860s. In 1866 he was elected to Parliament as the Member for Napier, and in 1869 became Native and Defence Minister in the Fox government. In this role he drafted the Native Land Act 1873, a major reform of Māori land law. Previously, only 10 owners could be named on certificates of title. Under the new Act all owners had to be named. The Act also aimed to stamp out fraud, and protect Maori from becoming landless. But Native Land Court judges and others ignored many of these protective measures. The requirement to list all owners may have been fairer to Māori, but it led to further loss of land because each individual was able to sell their interest in a land block without having to receive permission from the rest of their tribe. Tribal ownership and the ability of tribes to control their lands through their leaders were weakened as a result. McLean received a knighthood in 1874, and continued to perform various official duties until his death in 1877. We have 22 biographies, 2 articles, related to Donald McLean.